HR departments across nearly all industries are constantly trying to improve systems and processes to help increase employee engagement, recruit and retain talent, and operate on a more efficient and cost-effective basis each day. Performance management software is one of the smartest solutions for these persistent issues. With the help of performance management software, companies have the ability to simplify and accelerate the performance review and appraisal process while giving some power back to the employees. However, not every performance management solution is created equal. If you’re considering adding performance management software to your technology suite, or are looking to upgrade a legacy system to a more up-to-date solution, here are the 10 must-have features your performance management software should include. 1. Instant feedback — One of the inherent benefits of a performance management solution is its ability to offer performance-related feedback anywhere, anytime. This always-on feature gives employers and employees greater access to the data they need to make informed decisions and effect changes when issues arise. Instant and accurate feedback also helps in the annual appraisal process when it is kept within a single performance management software solution. 2. Performance vault — The right performance management software will also include a vault of sorts, capable of storing feedback, career development progress, check-ins with management, and peer recognition in a single location. Artifacts of performance are beneficial in performing accurate appraisals over time, and they lead to insightful employee performance analysis that can link back to training and education needs, or promotion potential. 3. Dynamic goals — Having the ability to create dynamic goals within a performance management software is a must. This feature gives employees the power to update career objectives over time, and employers can modify specific job needs as changes take place in the company or with the workforce. 4. Clear measurements — All performance management software solutions should include clear, easy to interpret measurements of objectives. Complex metrics or unclear initiatives make it difficult to understand performance management objectives and outcomes between employee and employer. Measurements of performance should be SMART, allowing easier tracking of results. 5. Social Recognition — Strong performance management software also includes the ability to recognize achievements of employees on a social level. The benefits of social recognition are far-reaching in terms of employee engagement and talent retention, and giving both employees and employers the opportunity to do so in a connected system is a powerful advantage. 6. Job-based reviews — Employers should have the ability to create and customize assessments for their teams or employees that are job-specific. This valuable features for a performance management software can include competencies, ratings, descriptions, and indicators to maximize ease of use. 7. Customizable reporting — Performance management software should also include a customizable reporting feature, giving employers the ability to generate various reports based on performance evaluation needs. 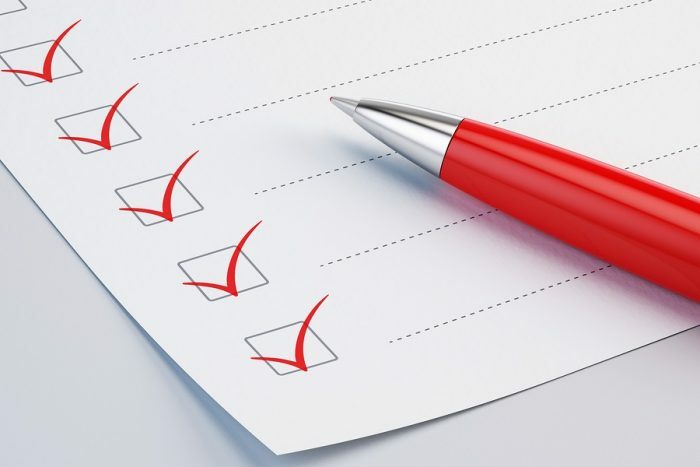 Completion status reports should also be available, all based on the employees, their managers, and other components of the performance review program. 8. Integration — With countless HR technology tools available today, companies may find it challenging to find systems and platforms that work well with one another. A performance management software solution should integrate into other technology components of the business, offering data sharing of relevant information when it is needed. 9. Succession planning — Performance management solutions that work best for employers must also have features relating to succession planning for the organization. Succession planning in this sense means that employees moving to the next phase of their career within the company are set-up for success based on competencies and skills. Both coaching and career development tools should be included in the performance management solution to ensure succession planning is seamless and proactive. 10. Actionable insights — Finally, a performance management software must present employers with actionable insights that can be used in several aspects of employee evaluations. Valuable information necessary to make management and employee-specific decisions needs to be available each day through an easy-to-navigate dashboard to reporting tool. Anna Smith is the chief editor of TalentGuard, a predictive people development company that transforms talent management with the power of cognitive and predictive cloud software. Anna has been working in human resource management for years and has later specialized in HR tech, which is nowadays thriving and developing as a key field. She is passionate about how technology changes the HR world and the operations of every level of the company.